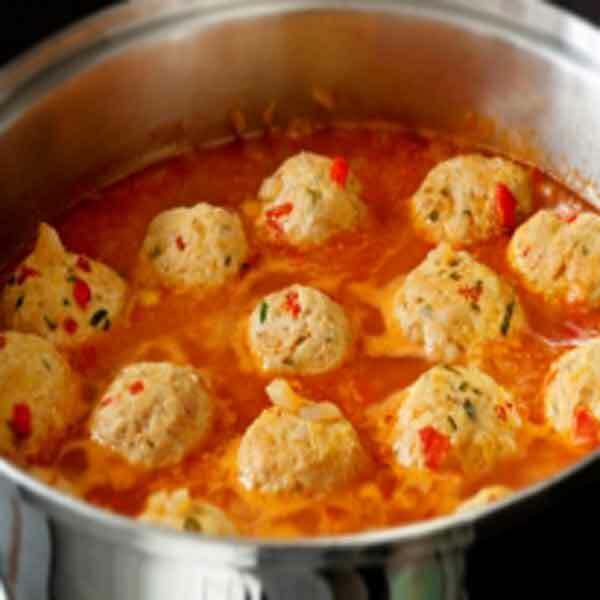 (BBN) – Minced chicken balls rolled with breadcrumbs, onions, tomato puree and masalas are fried and served in luscious chicken stock-yogurt gravy. Served with pasta. Fry the onion, garlic paste and tomato puree together. Grind the mixture with the remaining meatball ingredients together. Shape into balls and coat with flour. Fry in hot oil until brown. Fry the flour in the pan. Place the meatballs in the gravy and allow it to heat through. Serve with pasta, according to NDTV.